The instances of bed bug infestations is on the rise, but luckily we are getting a lot smarter about how we detect and eliminate these nasty bugs. It used to be that most exterminators utilized toxic pesticides to rid homes of bed bugs, but luckily advancements in the industry have allowed us to provide you with non-toxic, green methods that actually work a lot better. 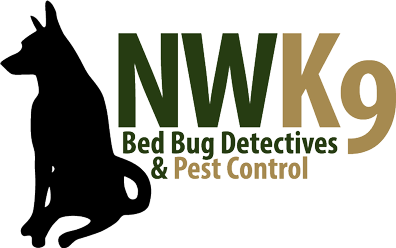 Here at Northwest K9 Bed Detectives, we are proud to say that we only offer the safest and most effective bed bug removal in Puget Sound. There are many safe ways that we can rid your home of bed bugs. A wonderful option is our Instant Freezing service. Instant freezing, just like it sounds, works by deep freezing bed bugs and their eggs with Carbon Dioxide. Instant freezing is such a successful method because it can easily get deep into cracks, pipes, and crevices to kill every last bug. Although bed bugs are amazing at hiding, they cannot hide from this amazing method. The very best part about Instant Freezing is that it is completely non-toxic. Protect your family’s health by utilizing safe and effective bed bug removal in Puget Sound. Our methods are environmentally friendly and innocuous. Call us today to schedule an appointment.